He had been living under an assumed name in Florida for at least 20 years. Brevard County officials said they created a ruse to get Freshwaters to sign papers to check his fingerprints. 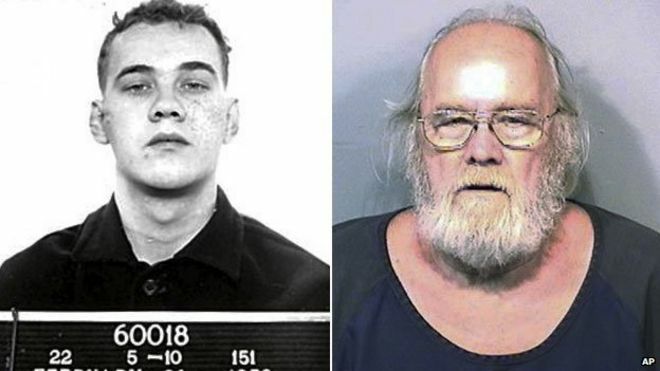 After a week of surveillance, US marshals and Florida confronted him with an old booking photo as he left his trailer home in rural Melbourne, Florida, asking whether he had seen the man. "They showed him the pic, and he said he hadn't seen that guy in a long time," Major Tod Goodyear of the Brevard County Sheriff's office said. "Then he admitted it and basically said, 'You got me'." Freshwaters was convicted of manslaughter for killing a pedestrian with a vehicle in July 1957. His initial sentence of one to 20 years was suspended until he violated probation by getting a driving licence. He was imprisoned at the Ohio State Reformatory before being moved to a lower-security camp near Sandusky, where he escaped in September 1959. How about the wisdom, he who fights and run away lives to fight another day. Can anyone run from the presence of God?